Posted January 20, 2019 by Sarah Lederle & filed under . 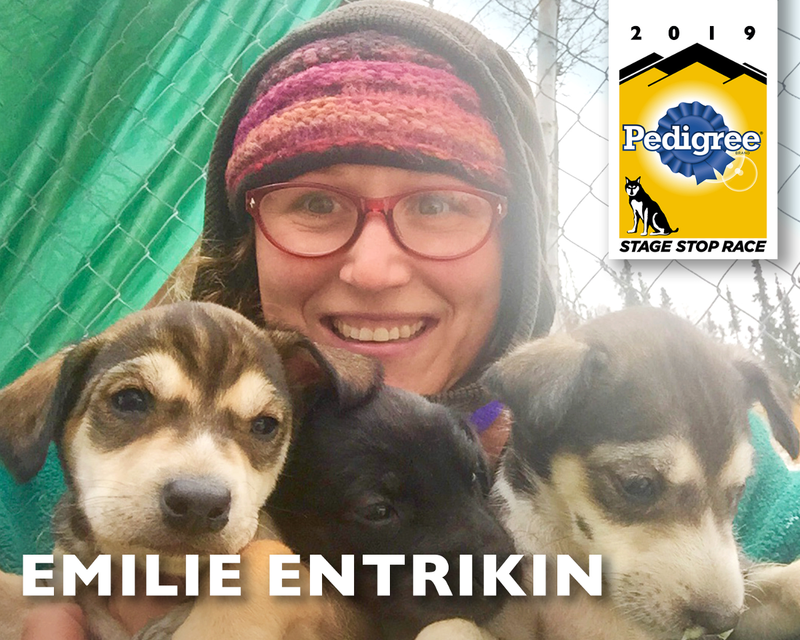 Emilie Entrikin of Alaska is coming back for a second trip to the Pedigree Stage Stop Race. She first competed here in 2016 and placed 10th, missing 9th place by less than two minutes overall. Emilie entered her first race in 2014. She loves to race and last year competed in the Pas, CrossLake and Yellowknife. Some of her past races have been the ONAC, Rondy, Willow Carnival, Tanana, and Alakaket. She flew the dogs to the Arctic Circle Championship in Kotzibue, Alaska, and Western Alaska Championship in Bethel, Alaska as well as a few smaller races. This year she will be one to watch for sure! Here is a little information on Emilie’s year so far. When are you coming down? We just made it to West Yellowstone January 16th after a long drive from Alaska. It’s so nice to be in warmer weather. While driving through the Yukon Territory we hit -45 deg. How’s training been this year? The home trails have been light on snow but were the only ones with early snow cover in our area. So consistently we have been training on mostly hills. I’m looking forward to training in West Yellowstone on some flatter trails. Earlier we took a practice traveling/training trip to Denali which allowed us to work out some kinks before hitting the road. Welcome back, Emilie. Looking forward to seeing you soon!